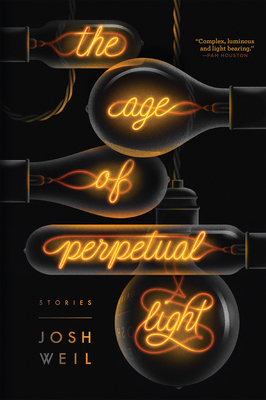 Special inscribed edition of Josh Weil's story collection, The Age of Perpetual Light. Following his debut Dayton Literary Peace Prize-winning novel, The Great Glass Sea, Josh Weil brings together stories selected from a decade of work in a stellar new collection. Beginning at the dawn of the past century, in the early days of electrification, and moving into an imagined future in which the world is lit day and night, The Age of Perpetual Light follows deeply-felt characters through different eras in American history: from a Jewish dry goods peddler who falls in love with an Amish woman while showing her the wonders of an Edison Lamp, to a 1940 farmers' uprising against the unfair practices of a power company; a Serbian immigrant teenage boy in 1990's Vermont desperate to catch a glimpse of an experimental satellite, to a back-to-the-land couple forced to grapple with their daughter's autism during winter's longest night. If you would like to have a copy of the book inscribed, please specify to whom it should be made out to and/or what message you would like included. If left blank, the book with be signed by the author without a personal inscription.